The project can be stopped for environmental reasons. The government of Denmark proposed to amend the EU legislation to enable blocking the construction of the Nord Stream-2 gas pipeline, world media reported. Apparently, pipelines can be stopped for environmental reasons as well. Denmark offers to amend legislation to allow governments to ban construction of pipelines also on grounds of national security and foreign policy priorities. The country's ministry of energy said the European Commission should look into the issue. Currently, Brussels has no formal grounds to veto such projects for environmental concerns. 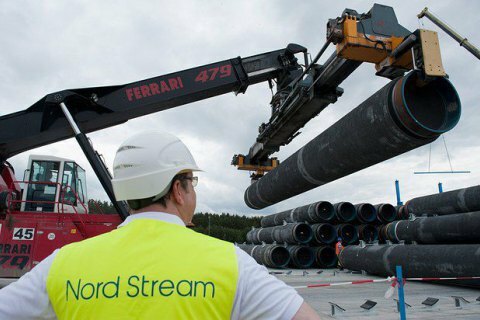 The Nord Stream-2 AG project operator has already sent a report on the environmental impact assessment (Espoo Report) to Finland, Sweden, Denmark and Germany, that gives detailed account of potential transboundary environmental impacts of the new gas pipeline project across the Baltic Sea. The Nord Stream-2 is to pass exclusive economic zones and/or territorial waters of the above five countries, is subject to the Convention of the European Commission on Environmental Impact Assessment in a Transboundary Context (Espoo Convention). Nord Stream-2 is a project to build a gas pipeline with a capacity of 55 billion cubic meters from Russia to Germany via the Baltic Sea. It is assumed that its route along the seabed, as well as the entry point to the German gas transmission system in Greifswald, will be the same as the first Nord Stream launched in 2011. In February, this issue was discussed at a meeting of the energy ministers of the EU member states. In particular, Poland resumed pressure on the European Commission because of the Nord Stream-2 concerns. Poroshenko calls Nord Stream-2 "political bribe for loyalty to Russia"